There are numerous tasks involved in deploying fiber to the home (FTTH) technology and while some are obvious, others require more thought and consideration. 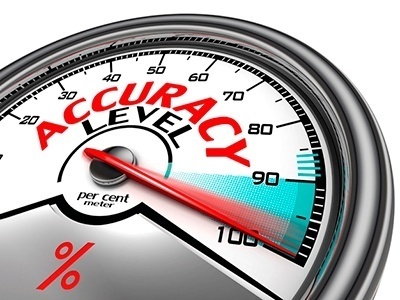 In general, the tasks fall into three categories: preparation; installation and delivery; and measuring/verifying. The design of an FTTx installation requires you to know the optical power required to reach the end user, to understand the conditions within the terminating premise, and to have details of the speeds and bandwidth required for each user. Signal power and performance requirements for each device or revenue generating unit. List of cable lengths required. A detailed map of the ducts with the space available in them. Cost efficient construction routes and obstacle planning. Geographic survey of customer addresses (verified). In-house network installation plan with required approvals. Once you have all the data above, you can begin to develop the timeline and plan for installation. The most complicated part of the planning process will be determining what is necessary to get the right signal levels at each device. 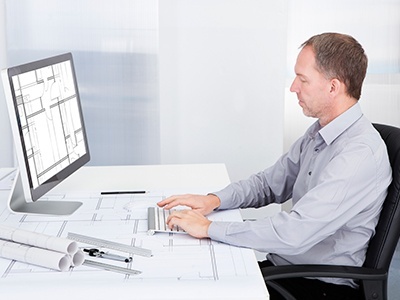 The fiber network design and drop planning can be achieved with software, but will always require experienced network designers to maximize efficiency and check for feasibility. Over half of the world’s population lives in units of 100+. In cities this figure can be even higher. This concentration and variety creates a challenge for operators looking to install fiber to the home (FTTH) connections. Essentially, mutliple dwelling units (MDUs) are like snowflakes - no two are the same, meaning that each one has to be handled as a separate, complex civil engineering project. 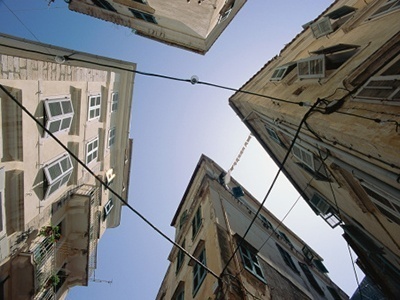 Adding to this complexity, the vast majority of these buildings were constructed before fiber networks were even thought of, meaning they aren’t designed to accommodate standard fiber connections. 83% of US MDUs were built before 2000, and over half (52%) before 1980. So there is often no obvious way to route fiber to individual apartments. Building owners and their tenants want the speed of fiber, but are less keen on any disruption or damage it might bring. 30% of consumers that sign up for FTTH service change their minds when an installation technician asks if he can drill holes in the wall and run cables along it. As operators increasingly focus on deploying fiber to the home (FTTH) across their networks, they are looking at how they can minimize deployment costs, and therefore increase their return on investment. 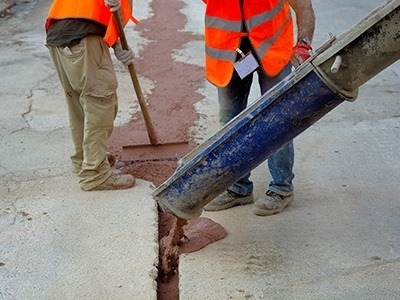 From our experience of working with FTTH installations across the globe, we see six ways of reducing FTTH implementation costs, while ensuring high quality, reliable connections. Traditional fiber backbone networks can stretch for miles and, therefore, require expensive blowing equipment to propel the cable through duct. This type of equipment simply isn’t needed on FTTH last drops. Instead, crews can quickly complete last drop connections by pushing or pulling cables, even around tight corners. For more complex or longer installs, pushing can be aided by simple, cost-effective handheld blowing machines, or pulled through the duct using a pre-attached pull cord. Pushing or pulling reduces equipment costs and install time. In our digitally connected world, consumers increasingly require high speed broadband in their homes, whether for leisure, work, education or keeping in contact with friends and family. 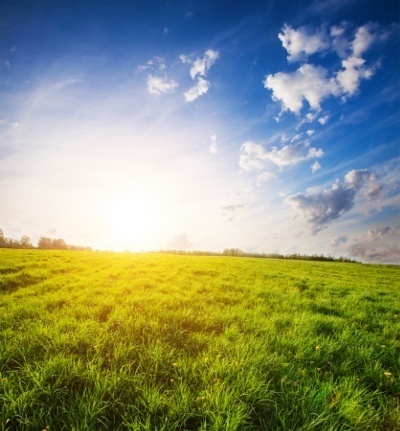 This means that when they are looking to move, particularly in the countryside, the presence and speed of internet connectivity is one of the factors that they take into account when buying a house. No wonder that US research for the FTTH Council Americas found that having a fiber broadband connection increased property prices by 3.1% - the equivalent of adding a new fireplace or half of a new bathroom. Those properties with 1 Gbps connections sold for an average of 7% more than those with broadband of 25 Mbps or lower. In the UK, property websites all now include broadband speeds, and newspaper property supplements highlight rural areas where fiber is being installed as potential hotspots that will see an increase in value. 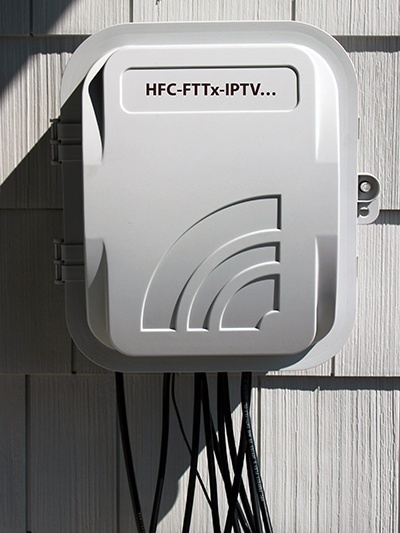 While much of this is fiber to the cabinet (FTTC) connectivity, there are a growing number of independent companies offering full fiber to the home (FTTH) services, ranging from local co-operatives and community groups to new operators. Optical fiber is a fantastic medium for propagating light signals, and it rarely needs amplification in contrast to copper cables. High-quality single mode fiber will often exhibit attenuation (loss of power) as low as 0.1dB per kilometer. Power or strength of the signal (measured in dB), will always be higher at the head end or central office of the network connection than at the customer end, as it’s impossible not to incur some degradation of light over the length of the network connection. 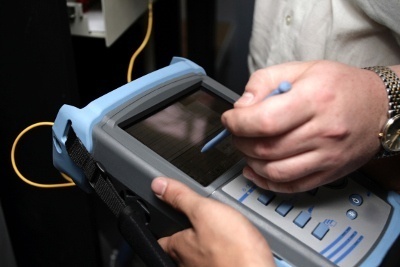 If the impact is too great then performance suffers, so understanding and measuring these losses is a critical part of network installation and testing. For network planners, the bulk of the loss budget is spent between the final node and the customer’s network terminal. Splitters add significant loss to this part of the network - far greater than fiber connectors and other passive components. When measuring the attenuation effects of these components, we use the terms insertion loss (IL) and return loss (RL). Fiber to the home (FTTH) deployments are set to ramp up significantly over the next two years. Especially in the US, we are now moving from the early adoption phase into the early majority phase of this market. This means operators face two competing pressures. They need to connect up new subscribers cost-effectively but also need to move fast if they are to grow their business by being the first to offer FTTH in a neighborhood. First-mover advantage is the best way to stop your competitors from muscling in on your market penetration. This puts the spotlight on the last drop connection - often the most complex and time-consuming part of the network rollout and, consequently, the most expensive on a per-foot basis. What makes it expensive? The vast majority (up to 70 per cent) of the cost of these connections is labor. Therefore, anything that reduces labor time and expense will help meet the cost and speed pressures described above. However, how can operators reduce these labor costs and increase deployment speeds, without impacting quality or customer service?